Click here to watch the Longport Video! 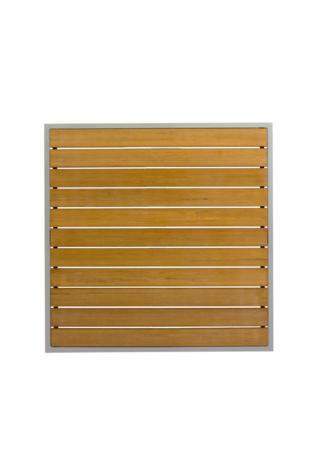 Rectangle: 24 x 32", 32 x 48"
Synthetic teak is a resin that has the look of natural teak without the maintenance. 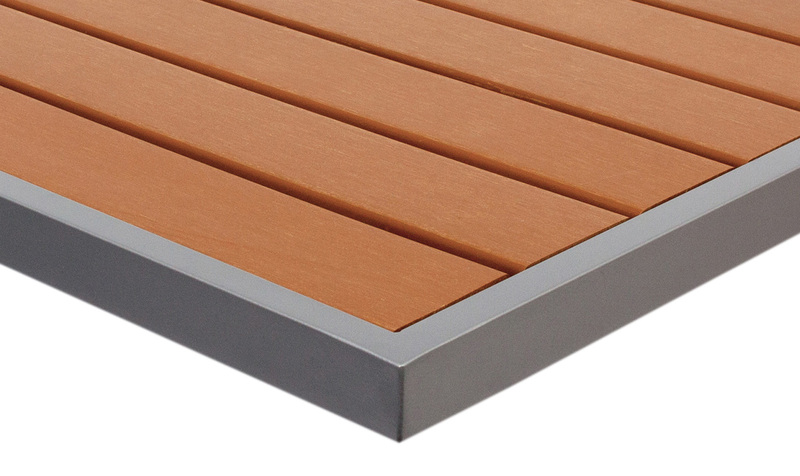 UV resistant, retains original teak color, doesn’t rot, crack, split or attract insects. Silver powder coat matches Bali table bases and silver powder coated delray chair and barstool frames. Frame is matched to our Bali table bases. 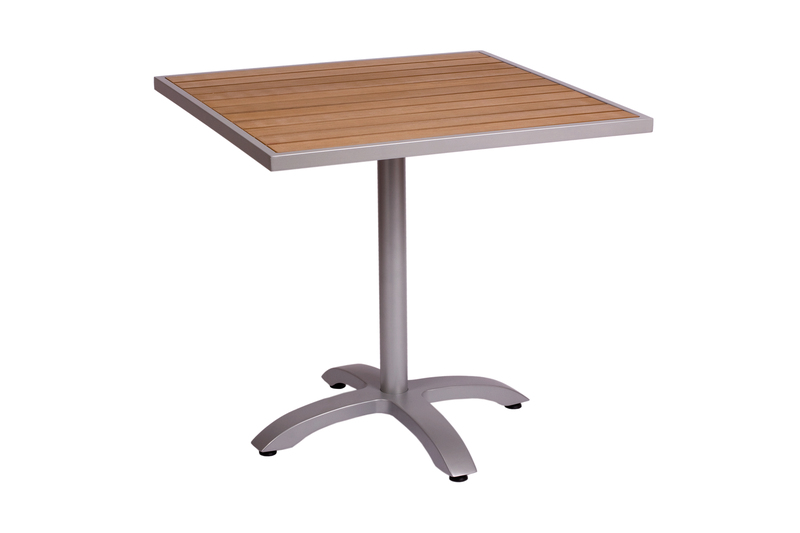 Ideal for: Indoor or outdoor, restaurants, bars, cafés, nautical themes, food courts. Note: When exposed to direct sunlight the use of footed stemware may create excess heat causing damage to tabletop voiding the warranty.